i was in my usual perch in front of the pc whilst jared was tearing our room down, climbing up + down the bed. it was a friday afternoon + i planned to catch up on writing some entries for the friday blog memes i intend to join that week while i browse through the facebook status message of mummy friends on facebook. mommy karen posted that an earthquake of 7.6 (confirmed later on to be 9.0) magnitude was registered in japan that afternoon. it was actually no news since japan has been known to experience tremors every so often i thought. then the news on the 30 meter tsunami came out + a little later after that i felt a sudden jolt shook me from my online reverie.with the broadband cord swaying beside our room window + my chair shaking as if someone is playing with it from behind, i concluded, yeah, it was indeed an earthquake. i searched online for the latest on what is going on in japan + was astounded + shell-shocked by the magnitude of the disaster + the devastation it left afterwards. raw footage of people fleeing from their houses, of the tsunami itself sweeping cars, trucks + even planes in its wake, of the ground breaking apart + water spewing from it shortly. it seem all a part of a great disaster film, except that it is happening in reality. which made it all the more scary. a quake was predicted here too between 5 and 7pm of the same day + i decided not to leave jared alone in the room (in his playpen, of course) so i can take a shower + waited for my sister to arrive first instead. i searched for more news about the plight of japan online while i waited. my heart goes out to the japanese people for having to go through this ordeal, thinking how quickly their lives changed in split seconds. it made my pining over my weight + bulging mid-section seemed trivial, childish even. and if you are a blogger too, you can also join in PostNJoy’s help japan promo, they will donate $2 for each registered entry you send in. let us do our share in helping japan. remember that no amount is too small, whatever amount of money you wish to donate will go along way. school’s finally over + summer has officially started. to reward your schooling tots for a job well done, why not bring them to expo kid 3 this weekend . 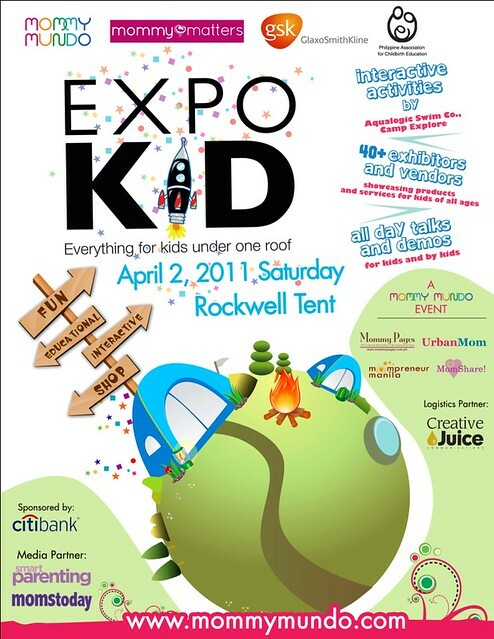 not only that, expo kid 3 will also showcase 40+ exhibitors and vendors of the best stuffs for kids! entrance is P25 + children below 12 years old gets in for free. 100% of registration proceeds go to the momshare outreach program. so if you + the kiddos have nowhere to go this saturday, mark your calendars with “expo kid 3” for your next where-to weekend destination! have fun, relax + enjoy the luxurious thunderbird resort in binangonan while you learn, nuff said! it’s always fun to meet up with fellow bloggers, mummies or not, that is why am so looking forward to this, plus i’ve never been to thunderbird resort so that is another worthwhile experience. who’s going to bloggerfest? see you there! it would spew us all to a distant nameless galaxy…. comprised of lone female member, geneva cruz, + tony lambino, jeffrey hidalgo + james coronel (+ later on james will be joined in by jayson angangan, zhar santos + chedi vergara) this kid-group was very popular here in the country + the neighboring asian countries too. singing socially-relevant songs, this group taught me a thing or two about the environment, nationalism + some other important stuffs kids my age ought to be pondering about. i say they’ve become a major influence in my teenage years. 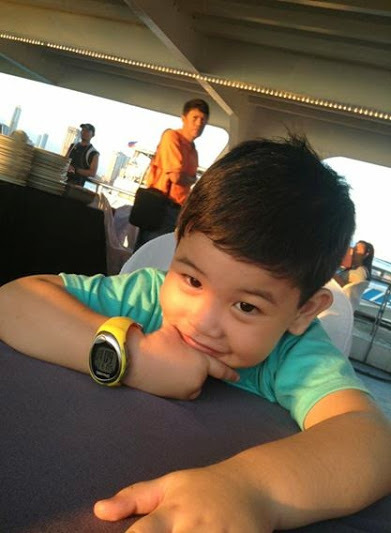 i only wish kids nowadays can have someone like them to look up to + idolize. here’s another song (this time from the second group), paraiso, which they performed in a songfest in japan + won!